One thing is sure: this Jeep will be a big succes. Why? Because is something really new in the market. There are in the market rigth now a convertible medium size truck that can be used at work and at the sport and fun activities at the same time? No. This truck combine the best of one of the best SUVs, the Jeep Wrangler and the best of the medium size trucks. 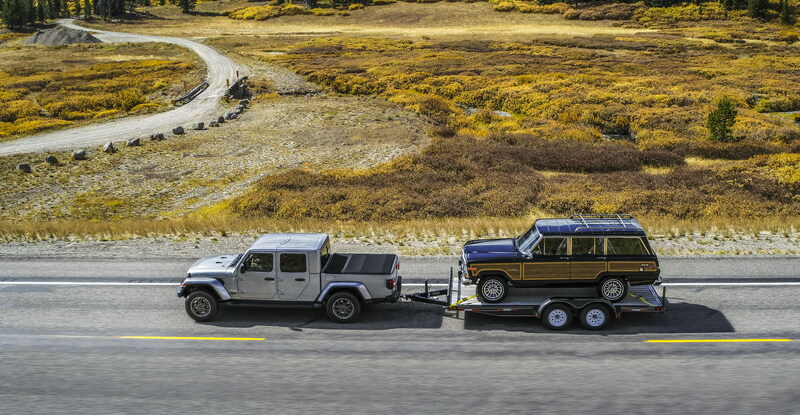 To understand this is enough to see the picture of the truck towing a big old Grand Wagoneer, and a picture of the same truck with the roof and doors removed from their site , with 2 canoes in the bed at a wild space... Is a truck for fun, is a truck for work. And looks incredible! This thing will change the market. Is Ford looking at this vehicle?. A Bronco based truck must be considered in the future. Or, at least, a more sport and flexible version of the Ranger to compete with this Jeep. Last edited by falcon lover; 11-29-2018 at 03:57 AM. Jeep will sell all they can build. What a fantastic vehicle. Since it's based on the Wrangler which has a small interior in relation to its exterior, to have an average mid-size crew cab and a 5-foot bed/box, the Gladiator ended up with a 137.8-inch wheelbase and an overall length of around 218 inches. The extra long wheelbase and longer rear overhang also means this isn't as good as a Wrangler going off-road. Its breakover angle is 20.3 degrees (this is for the Rubicon which rides higher) and the departure angle is 26 degrees. This is for Wrangler owners who want a matching pickup and for those in the truck market who want something unique looking. 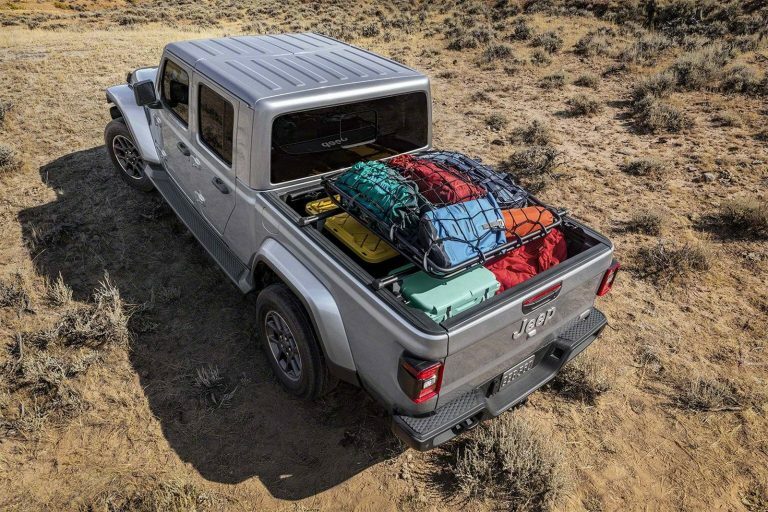 People looking for a more practical mid-size pickup (for work or personal use) will stick to a conventional pickup which maximizes cab space and cargo box/bed while having a more compact exterior. Last edited by AM222; 11-30-2018 at 01:13 AM. B. They won't be cheap. falcon lover, AM222, glyphics and 1 others like this. Poorly packaged? Of course! But if you want a big truck, with a good interior packaged, you can buy a Ram 2500!. This truck is for an enterily new kind of customers that are searching a fun, outdoors life style vehicle, that can help them with the work, too. A pick up truck that can be converted in a beautiful and funny completly open vehicle? I imagine all those young, active, sports guys running rigth now to a Jeep dealer to buy one. And I predict GM, Toyota and Ford producing "Sport" versions of their midsize trucks to compete with this thing, without much succes. Last edited by falcon lover; 11-30-2018 at 02:56 AM. They'll both have their own markets. The Ranger will cater to those who want a practical mid-size pickup that fits the garage, the Gladiator is more of a lifestyle/image vehicle. 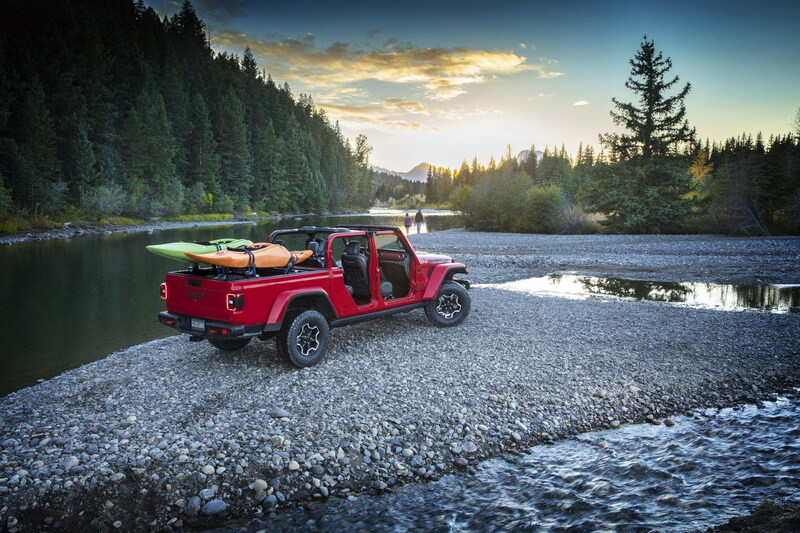 The changes required to turn the Wrangler into a Gladiator pickup made it less capable and Jeep admits it. As pointed out earlier, its breakover angle (18.4 degrees to 20.3 degrees) is even worse than other conventional mid-size pickups. The solution of course is to upgrade it with Mopar and after market parts which will drive the prices up even further. 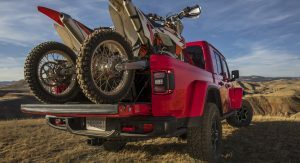 PS: It's funny how people think the 210-inch long Ranger is too big, the Gladiator is 8 inches longer and has a wheelbase nearly a foot longer. I'm curious which one is a better daily driver in terms of comfort and maneuverability. Last edited by AM222; 11-30-2018 at 09:43 AM. Food is my Love - Cars are my Passion. Do they even have that production capacity? How will this alter production/sales of Wrangler. 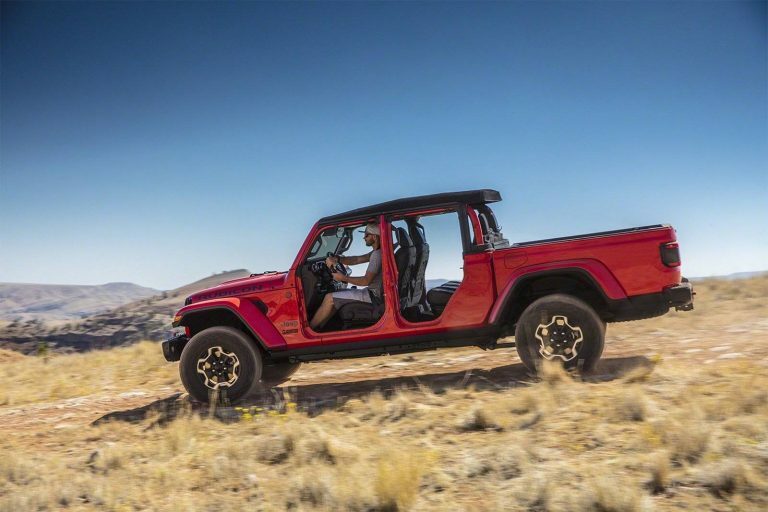 I hope the 2-door (lower cost) Wrangler is not going to be left out of the next product cycle, if the 4-door and Gladiator can be produced at the same rate, but for more profit. @RedSkyBlackDream, this was a response to those who look down at the Ranger for being a practical mid-size pickup. I don't hate the Gladiator, I think it's very unique looking. I just think it's not the best in being a mid-size pickup. It's probably a great lifestyle/ image vehicle though. Last edited by AM222; 12-01-2018 at 02:13 PM.